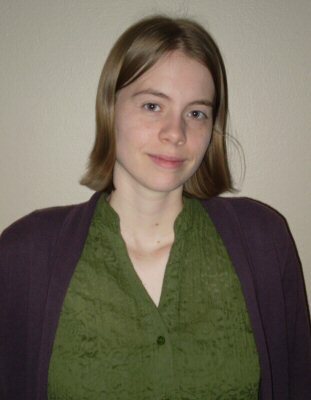 Reviewer Profile – Kristen A.
I grew up in Lincoln, and have lived here most of my life. I lived in Scotland for a time while attending university. I met my husband-to-be in one of my classes, and we later got married in Scotland. It strikes me how strangely life turns out at times. I have only just this year got into to mysteries such as Miss Marple and Sherlock Holmes; I was surprised how much I enjoyed them until I remember my favorite book series as a kid were The Boxcar Children and Cam Jansen. Turns out I had a propensity for mysteries all along and simply forgot. I read a lot as a child, but I took a long break during my teens and early 20’s. I simply had a lot of school work and reading to do for classes. After I graduated from university, my husband and I were still in the middle of a Trans-Alantic long distance relationship and I just couldn’t focus or find energy to read anything. So really it’s only been in the past couple of years that I have taken up reading again since I was a kid. I have been reading a wide variety of things; my husband has suggested a number of books for me to try and so far I’ve enjoyed them all. I’ve tried short stories, history, graphic novels, science fiction, philosophic novels, mysteries, and classics. One particular author I just can’t get enough of is Alexander McCall Smith. He is a Scottish author who sets two of his series – 44 Scotland Street and Isabel Dalhousie – in the city of Edinburgh, which is not where I lived, but I did visit there frequently. I enjoy these because I have been to the places he mentions. It’s important because it’s a rather calming activity for me. Life can be rather hectic, and as fun as my other hobbies are – swimming, hiking and indoor rock climbing – it’s nice to have a break and just sit down with a cup of tea to read. I choose them from my bookcase at home. My reading goal at the moment is to read through all the books I own, and books in the series I’m into (that I don’t necessarily own) before looking for anything new. During my reading lull, I accumulated books I wanted to read and have a number of them left to go through. The writing process makes me think about what I have read beyond whether I liked the book or not. I enjoy contemplating and writing about the setting, the plot, the characters, and the writing style in a way that I’ll remember the book better. The more I can recall about the book, the better recommendations I can make to people when they tell me what they like. Well, throughout my childhood I was usually brought to Gere Branch, and occasionally went down to Bennett Martin Public Library, downtown. I started working at Walt Branch in 2008 as a summer intern, and worked there the following summer as a temp. now work at Gere Branch and have done since 2010. Recently I was reading At Home by Bill Bryson. I was reading through the chapter on gardens, and he was recounting the history of ponds. The first man-made pond that was constructed non-geometrically, in order to look as natural as possible, was the Serpentine in London. I have visited London and while I was there had a walk in Hyde Park where the Serpentine is located. I’m also in the middle of reading Sherlock Holmes, and in one of the stories a police officer finds a clue floating in the Serpentine. I just had to smile at that; travel memories, history, and a fictitious mystery all in the same bundle. This has happened a few times over the past few years. As I mentioned that is why I love McCall Smith’s books so much. Places I have traveled to, and not just the cities, but specific places within the city, crop up while reading. I really like fantasticfiction.co.uk because of the author bibliographies. It lists everything an author has written, lists all the series in order and includes work in any anthologies they have contributed to. It also has images of the various covers of the same title. Jostein Gaarder. His books are very thought provoking and in my opinion very worth your while. Gaarder is a master of plot twists and philosophical puzzles that keep you wondering about them long after you finish reading!